TALLAHASSEE, Fla. — Tallahassee's finest do more than just fighting crime and protect our city, they also help those in need. 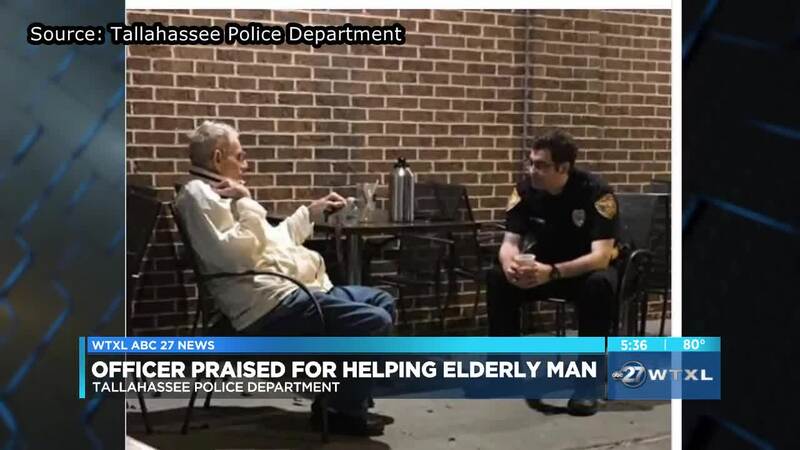 TPD Officer Hunter Kerce was seen helping an elderly gentleman who seemed confused. The officer then sat and talked with the man for several hours before the man's son could arrive from Panama City to pick him up. TPD officers receive special training to help in calls regarding dementia and Alzheimer's. "We're trained on mental illness, Alzheimer's, dementia, just a spectrum of situations that we could encounter while we are on patrol because there is no day that is the same out there and there's no call that is ever the same and we have to be as much prepared as we can to handle any type of call that comes in," said TPD Officer Rachelle Denmark. Officer Denmark says if you see anyone who looks like they need help or may be confused, it is right to call the police.